Located on the east coast of Ireland, Dublin is the nation's capital city. Despite being home to a quarter of Ireland's population, Dublin is a relatively small city with the atmosphere of a busy provincial town and its compact size makes it easy to get around. 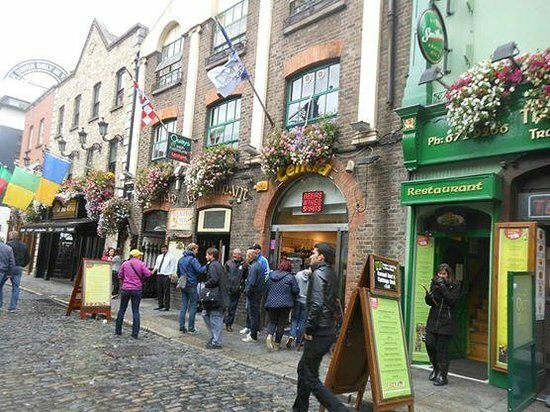 Your main challenge might be exploring Dublin with a cranking hangover, as suggested on various ‘Dublin tourism’ (also known as ‘Dublin zwiedzanie’ in Polish) sites, for this is the pub capital of the world. To experience life in this great city, a visit to one of its many watering holes is essential. The River Liffey is a stretch of water that separates the city into neat halves serving as a crude social divide of Dublin with the working-class to the north and the wealthy to the south. Directly south of the Liffey is Grafton Street, the pulsating heart of the city and the equivalent of Carnegie Hall for Dublin. Street buskers during the day is the best time to catch the top performers. The architectural imprint of centuries of British rule can still be seen throughout Dublin. This is a town that wears its history on its sleeve. Try out the rebellion walking tour, it's a great way to experience the story of the 1916 Easter uprising. The struggle to establish the Irish Republic and remove the British from power. You can also visit Kilmainham jail, Dublin's infamous prison where the leaders of the Easter uprising were executed. It's list of inmates reads like a who's who of Irish nationalism. For a day trip out of Dublin, try Wicklow hills just south of the city. These rugged mountains are popular with Dubliners looking to escape the hustle and bustle, relax and take in the views or try something a little more adventurous.